Trying to stick to a strict budget? 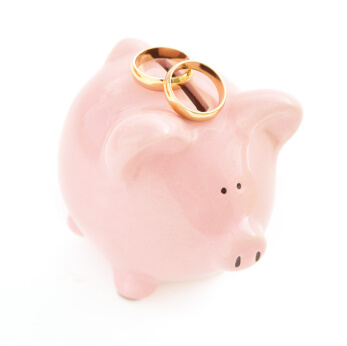 Don’t forget these hidden costs of having a wedding! Gratuity! Gratuity is usually added to the final bill for your caterer. However, it is also polite to tip waiters/waitresses, bartenders, church musicians, and any others who you think deserve it. Taxes! Don’t forget to include taxes in your budget for the dress and tux, flowers, food, and beverages. You may think you are paying $20 per person and end up paying over $25! Overtime! Many wedding vendors such as photographers and DJs charge overtime fees. You never know until the day of your wedding how long you are going to need them so make sure to work this out BEFORE your big day! Food for your wedding vendors! Don’t forget to feed your wedding vendors! Your photographer, videographer, DJ, etc. will probably be at your wedding for more than 6 hours. Unless you want them to leave to get dinner, make sure you have a meal for each of them. Postage! Some invitations can cost up to $2 for postage. If you are sending out 100 invitations, that adds up to $200. Make sure to leave some room in your budget for stamps.